Stop performing all that system maintenance yourself and set it all up to run on a schedule. 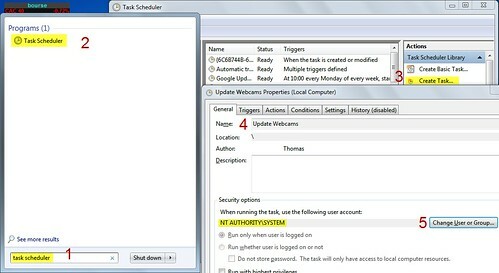 With Windows' built-in Task Scheduler, you can run just about any kind of task�whether it's maintenance, picture uploads, or even a simple alarm�through Windows' built-in tools (in fact, it's one of the best Windows 7 features you've probably forgotten about). Mac users looking for something similar should check out Tasks Till Dawn. What are tips and tricks to pass 10th Board Exams? What are the three most important factors that would use in evaluating computer hardware, Computer software. Explain, why? What do you mean by Computer science and what all are the job opportunity are available after getting a graduation in CS? what is importances of physics in computer engineering?